One of the things that kind of sucked about our tour of the Ben & Jerry’s factory in Waterbury, VT, was mint chocolate chip ice cream. It was almost like they intended to taunt us by putting a display in the tasting room exalting their new flavors for 2010: Mud Pie, Dulce Delish, Boston Cream Pie. Do you think they served any of those? Nope. Mint chocolate chip. They have all of those great-sounding ice creams and, to reward the folks who made an effort to come to their factory, they dish up a mediocre flavor that everyone has had dozens of times before. Not a brilliant marketing move, to be sure. I doubt anyone rushed to the store to pick up a pint of mint chocolate chip after the tasting. We sure didn’t. But when confronted with three of these new flavors in the freezer at Hannaford’s the other night, we forgot all about the transgression from a month earlier. Good ice cream trumps bad marketing every time. But maybe there is a method to their madness. Had we tried some of the flavors, we could have made an informed decision. 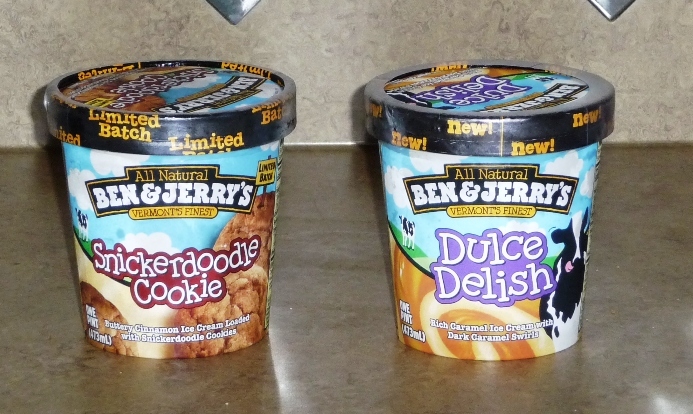 But without any information we acted like the good little gluttons we are and bought a pint of each: Snickerdoodle Cookie, Dulce Delish, and Boston Cream Pie (image unavailable, heh, heh, heh). 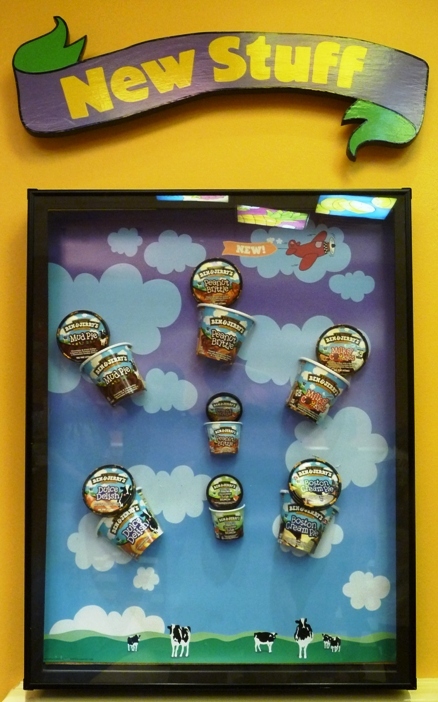 Well played, Ben & Jerry’s. I don’t know about the other flavors yet, but I have to say they nailed Boston Cream Pie. The tour itself was pleasant enough. It consisted of a short but entertaining film about the company’s history, a look at the ice cream making process, and the infamous tasting. 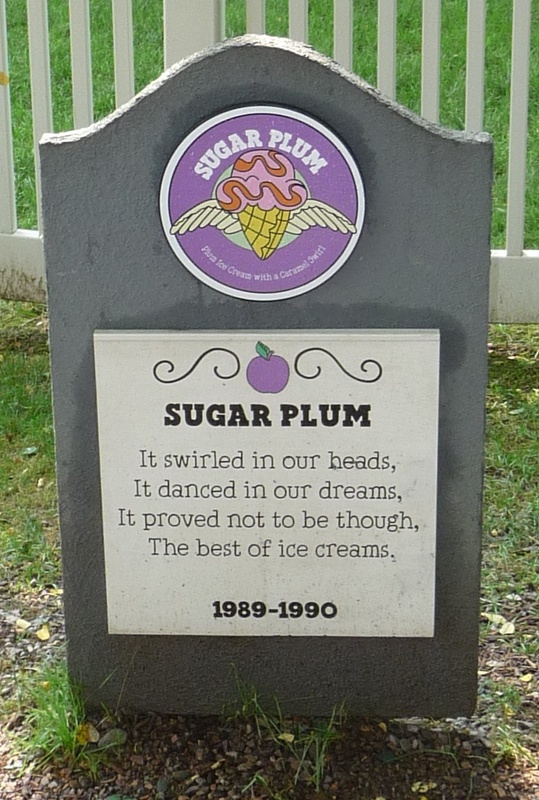 The grounds include a cleverly conceived graveyard for flavors that have gone to the great beyond. Some flavors obviously died because they blew, but it was interesting to learn that some were simply taken out of circulation to make room for new flavors, while others contained specific ingredients that are no longer available. It is good to know that Ben & Jerry’s is willing to axe popular flavors rather than pollute them with substitute ingredients. Good for them. 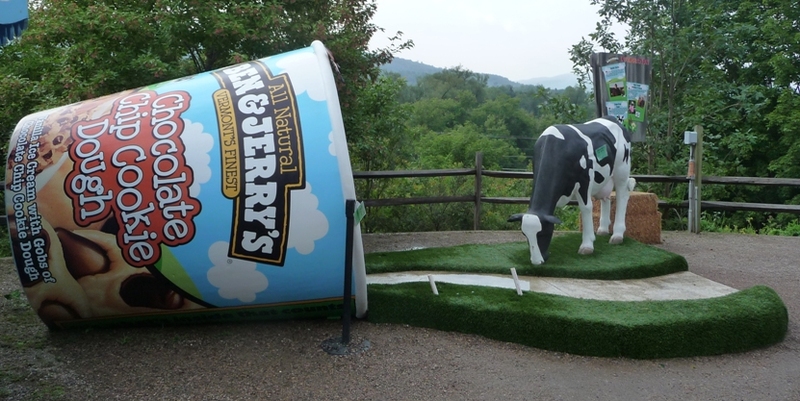 That commitment to quality is likely the reason Ben & Jerry’s factory is Vermont’s number one tourist attraction. But for me, better tastings can be found at the supermarket.